These two teams get their Top 16 campaign underway and both will be looking to ensure that they start 2016 in a lively and bright fashion. The hosts held a 6-4 record in the regular season while the side from Belgrade qualified with a 5-5 record, so there may not be much between the teams. The main man for Efes this campaign so far has been Thomas Huertel, and he is recognised as being the leading player with respect to assists this season. In two separate games in 2015 he managed to deliver 15 assists, so he is definitely a player to look out for. Another top player for the home team has been Jayson Granger and these two players will have a crucial role to play in the Abdi Ipekci Arena on Wednesday night. Efes have had a great run of form shooting triples this campaign and if they can maintain this form, notably with Jon Diebler calling the shots, they could end 2015 in great style. The away team also has a few players that can provide an assist or two, and this means that they will fancy their chances of causing some trouble in Istanbul this week. Stefan Jovic managed to serve up a total of 19 assists in the month of November, which broke a record of 17 assists which was created by Marcus Williams in the season before. Both teams have players that can create and this could lead to an exciting tie for fans in this one on Wednesday night. Quincy Miller could have a big part to play in this game while Vladimir Stimac is likely to be the go to guy when it comes to hustle for the Belgrade team. The bookmakers think that the home team are clear favourites for this game but it will be interesting to see how teams bounce back this week after the short break at the end of the regular season. 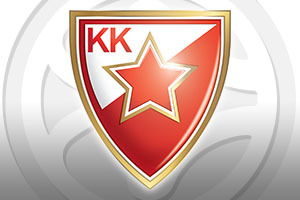 There may be value in backing Crvena Zvezda Telekom Belgrade at +10 at odds of 1.90. For the Over/Under market, look to go OVER 157.5 again at odds of 1.90. Bet Now!